Former Jammu Kashmir Chief Minister Mehbooba Mufti Monday appealed Ali Garh Muslim University authorities to revoke the suspension order of three Kashmiri students. “Pushing youth to the wall will be counterproductive. 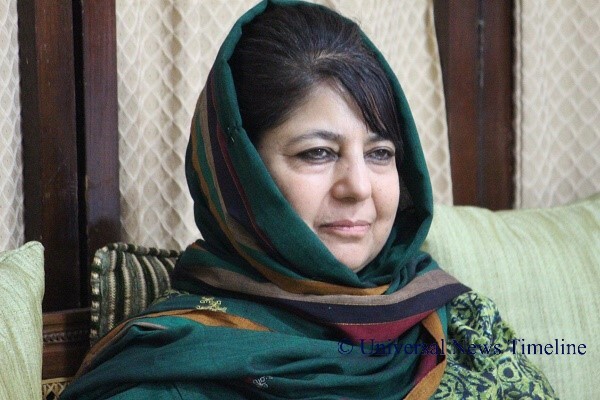 Centre must intervene in withdrawing cases against students & AMU authorities must revoke their suspension .The respective State governments outside JK should be sensitive to the situation & prevent further alienation,” Mehbooba Mufti tweeted. Pertinently, AMU management suspended three Kashmiri students after a row erupted when some Kashmiri students of AMU gathered near the Kennedy Hall on the campus to hold prayer meetings for Manan Bashir Wani, a 27-year-old PhD student who had quit the university to join militant ranks in the Valley. On Thursday, Wani was killed in an encounter with the security forces in Shatgund village in Handwara area of north Kashmir's Kupwara district. “It will be a travesty to punish them for remembering their former colleague who was a victim of relentless violence in Kashmir,” Mehbooba Mufti added.